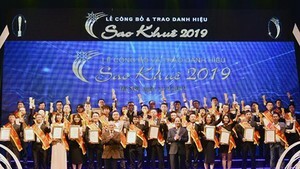 The Ho Chi Minh City (HCMC) Department of Science and Technology yesterday summarized the 10-year stage from 2008 – 2018 of the program to train intellectual property administrators in the city. Accordingly, the program has trained 68 intellectual property directors, 104 department heads, and 195 specialists, all of whom are expected to become the core human resources for many intellectual property activities in HCMC. Deputy Director of the HCMC Department of Science and Technology Nguyen Khac Thanh said that intellectual property is considered one of the most effective method to boost the development of the technology market in particular, and the national economy in general. The training program for intellectual property administrators was launched by the HCMC Department of Science and Technology in order to supply sufficient human resources for educational institutes, businesses, and intermediary organizations to optimize the management and exploitation of intellectual property.